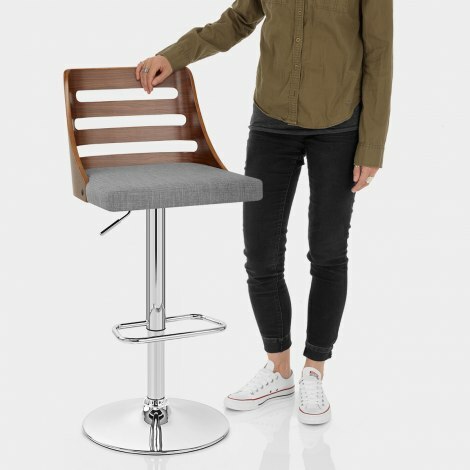 Consider the Muse Walnut Stool Grey Fabric, an enchanting model that is sure to add a spark of style to your interior with its innovative and attention grabbing appearance. 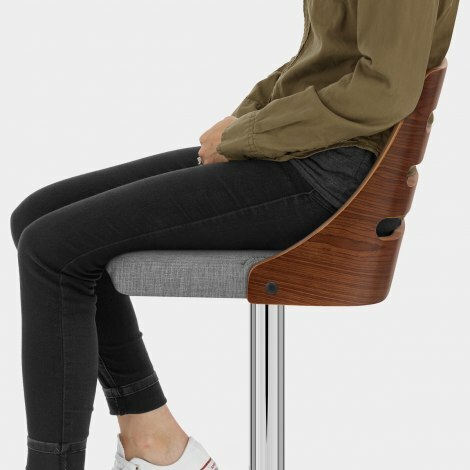 A real vision of charming contemporary design, the Muse Walnut Stool is not to be ignored. Upholstered in gorgeous grey fabric, the comfortable seat pad is accompanied by a high backrest for support as you sit. With a divine walnut finish, it is formed from a single piece of bentwood and exhibits a stylish slatted design for fashionable flair. Sculpted on a modern polished chrome frame, a gas lift mechanism enables adjustable height and 360 degree swivel for optimal accessibility. A chic triangular footrest provides a practical addition, meanwhile a protective underside concealed beneath the round base helps to preserve floor surfaces. 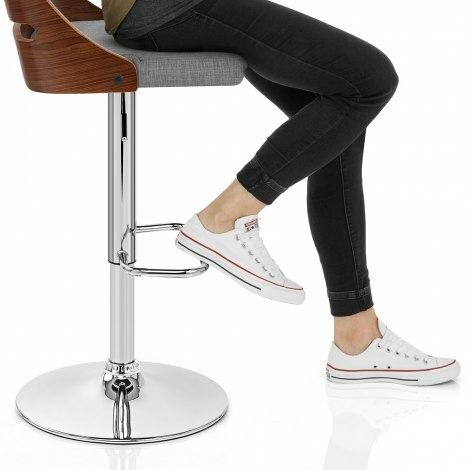 "Very comfy stool, looks smart too"
These stools look great and are very easy to assemble. Would recommend and great service from Atlantic in terms of speed of delivery and customer service. Bought two stools for our new kitchen. Very good service. Quick delivery and great product design and good quality. Will be buying more. They look great in my new extension and I am very pleased with them. They were easy to assemble and very quickly delivered the next day after ordering. Very pleased with the chair, going to get another one! Very comfy stool, looks smart too. Buy with confidence.